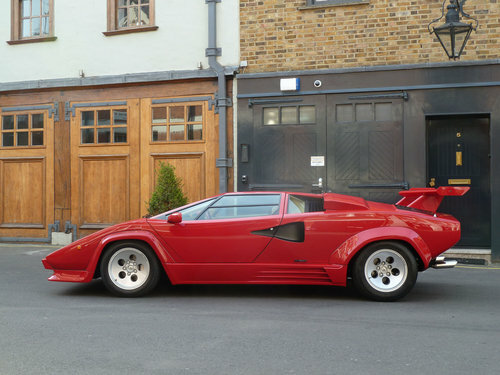 This Countach is one of only 16 RHD 1988 1/2 Model Year cars believed to have been imported to England by the UK Lamborghini importer Portman Concessionaires, two of which are thought to have then gone to Japan. 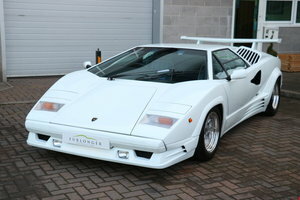 Purchased new by Gerald Carroll of the Carroll Group London in September 1988, Mr Carroll specified his Countach with several bespoke options such as black door interior panels, red leather steering wheel and gear lever gaiter (the latter removed by the second owner), etched Lamborghini inscribed sill plates, chromed interior and rear Lamborghini badges. 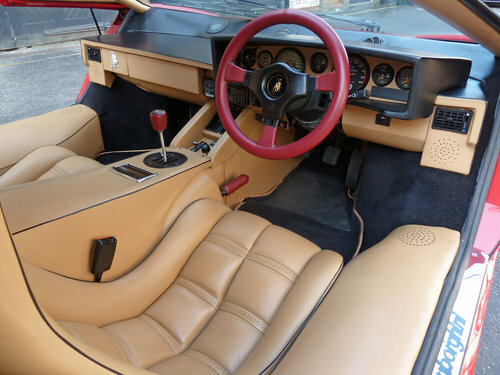 The car was registered SPY 60 while it was part of Mr Carrolls collection of Lamborghini and other cars, until September 1991 when it was acquired by Paul Beard of Hampshire. Then registered F818 EPW and having only covered 1,728 kilometres, Mr Beard promptly applied his A7 CMJ number plate. 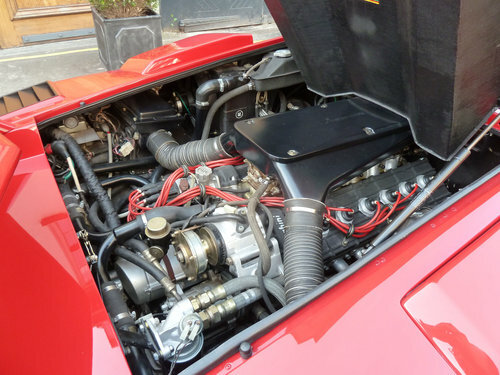 The Countach was enjoyed by Mr Beard on a regular basis during which he had the car serviced and maintained by the UK Lamborghini importer Portman Concessionaires of Thorpe, Surrey, and latterly Lamborghini Great Britain of Reading, Berkshire. 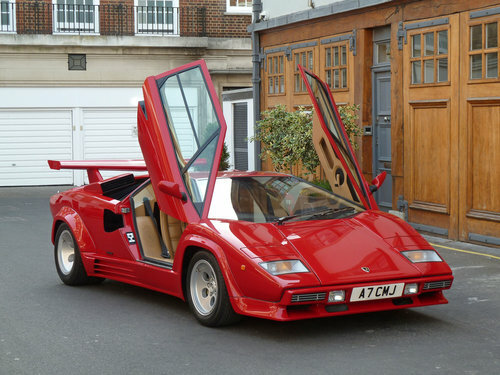 In 1998 Mr Beard was forced to place the car into professional car storage when he moved house and was unable to gain planning permission to modify the approach to the property to allow the Countach access. Nine years later it was decided to sell the car so in early 2009 the car was taken to a garage in Lancashire and was thoroughly recommissioned. 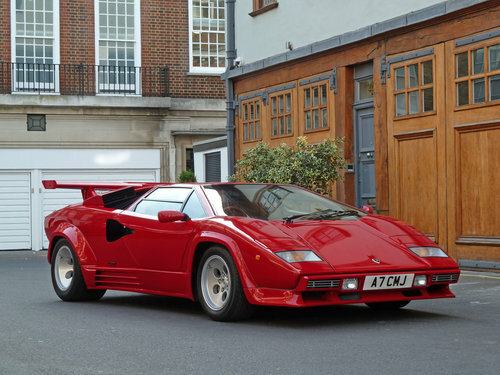 In September 2010 a Roderick Bond of Cheshire acquired the Countach when the odometer recorded 21,977 kilometres, and he soon arranged for a new clutch to be fitted and thorough detailing work to be carried to the car, the work of which totalled nearly £19,900. Included in this work was the fitting of a Larini sports exhaust system including manifolds, the resulting effect being a truly magnificent sound! During 2011 the car underwent further cosmetic improvements which resulted in the car being totally repainted, following which a new windscreen was installed in 2013. 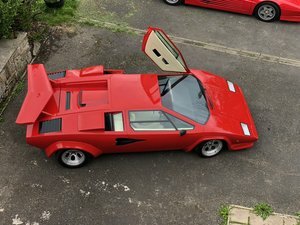 The Countach changed ownership again in 2015 to someone in Lancashire and its history after that is still being researched. 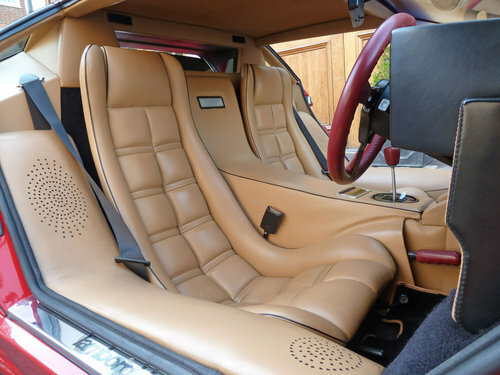 This iconic and very rare car is in superb condition having covered just 14,300 recorded miles from new (the odometer displays 22,900 kilometres). In addition to having its original hand and service books in their wallet, there is a comprehensive history file containing many maintenance invoices, expired MOT certificates and tax discs, copies of previous registration documents. Also included are photographs of the car being unloaded from the transporter at Portman Concessionaires when new and shortly afterwards outside Buckingham Palace.